The Dawn Of The World, Myths And Weird Tales Told By The Mewan (Miwok) Indians Of California, has an Introduction and 2 Parts. 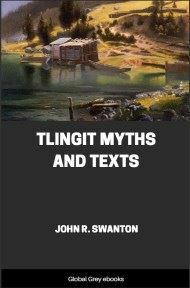 Part 1 covers Ancient Myths, and Part 2 covers Present Day Myths. 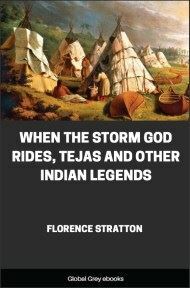 THE mythology of the Indians of California goes back much farther than our mythology: it goes back to the time of the FIRST PEOPLE--curious beings who inhabited the country for a long period before man was created. The myths of the Mewan tribes abound in magic, and many of them suggest a moral. They tell of the doings of the FIRST PEOPLE--of their search for fire; of their hunting exploits; of their adventures, including battles with giants and miraculous escapes from death; of their personal attributes, including selfishness and jealousy and their consequences; of the creation of Indian people by a divinity called Coyote-man; and finally of the transformation of the FIRST PEOPLE into animals and other objects of nature. Some explain the origin of thunder, lightning, the rainbow, and other natural phenomena; some tell of a flood, when only the tops of the highest mountains broke the waves; others of a cheerless period of cold and darkness before the acquisition of the coveted heat and light-giving substance, which finally was stolen and brought home to the people. 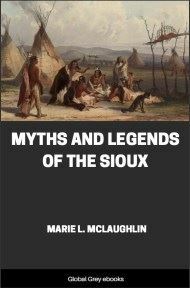 The existence of a FIRST PEOPLE, beings who differed materially from the present Indians, and who, immediately before the present Indians were created, were transformed into animals, trees, rocks, and in some cases into stars and other celestial bodies or forces--for even Sah'-win-ne the Hail, and Nuk'-kah the Rain were FIRST PEOPLE. The preëxistence of Coyote-man, the Creator, a divinity of unknown origin and fabulous 'magic,' whose influence was always for good. The existence (in some cases preëxistence) of other divinities, notably Wek'-wek the Falcon, grandson and companion of Coyote-man, Mol'-luk the Condor, father of Wek'-wek, and Pe-tā'-le the Lizard, who, according to several tribes, assisted Coyote-man in the creation of Indian people. The possession of supernatural powers or magic by Coyote-man, Wek'-wek, and others of the early divinities, enabling them to perform miracles. The prevalence of universal darkness, which in the beginning overspread the world and continued for a very long period. The existence at a great distance of a primordial heat and light giving substance indifferently called fire, sun, or morning--for in the early myths these were considered identical or at least interconvertible. The presence of a keeper or guardian of the fire, it being foreseen by its first possessors that because of its priceless value efforts would be made to steal it. The theft of fire, which in all cases was stolen from people or divinities living at a great distance. The preservation of the stolen fire by implanting it in the oo'-noo or buckeye tree, where it was and still is, accessible to all. The power of certain personages or divinities--as Ke'-lok the North Giant, Sah'-te the Weasel-man, and O-wah'-to the Big-headed Lizard--to use fire as a weapon by sending it to pursue and overwhelm their enemies. The conception of the sky as a dome-shaped canopy resting on the earth and perforated, on the sides corresponding to the cardinal points, with four holes which are continually opening and closing. A fifth hole, in the center of the sky, directly overhead, is spoken of by some tribes. The existence, at or near the north hole in the sky, of Thunder Mountain, a place of excessive cold. The presence of people on top of or beyond the sky. The existence of Rock Giants, who dwelt in caves and carried off and devoured people. The tendency of the dead to rise and return to life on the third or fourth day after death. The prevention of the rising of the dead and their return to life by Meadowlark-man, who would not permit immortality. The creation of real people, the ancestors of the present Indians, by the transformation of feathers, sticks, or clay. Of these beliefs, origin from feathers is the most distinctive and widespread, reaching from Fresno Creek north to Clear Lake. The completion and perfection of newly created man by the gift of five fingers from Pe-tā'-le the Lizard-man, who, having five himself, understood their value.